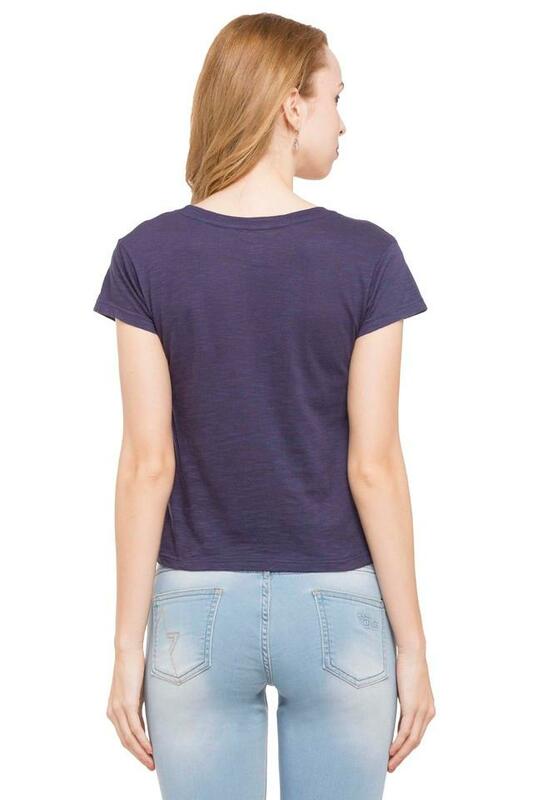 Make an exciting choice for a casual outing with this simple, t-shirt from Rocky Star. Made from good quality fabric, this t-shirt will be perfect according to your convenience. 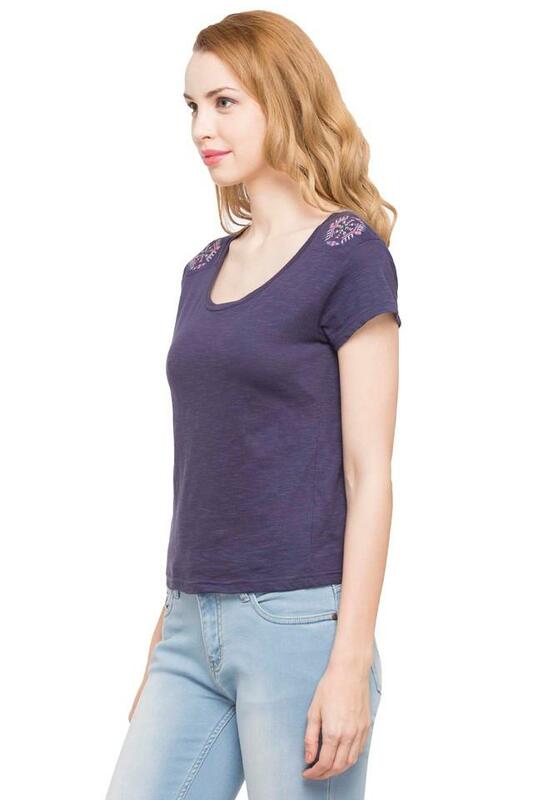 Featuring a round neck, short sleeves and slub pattern, this t-shirt boasts of enticing poise. If elegance is your style, then this t-shirt is a perfect pick for you. Team this t-shirt with a pair of distressed jeans and matching strappy sandals for a cool casual look.